Perhaps the TIN100 deserves an ex gratia payment? Perhaps Greg Shanahan and his TIN 100 team and reports are deserving of an NZ Inc ex gratia payment. Because arguably they've been most responsible for bringing hi tech out of the closet, making it cool(er). (OK, the Hi-Tech Awards have had some impact as well!). Of course we can never tell what would've happened without this report coming into being 12 years ago, but purely as an 'aspirational showcase' alone the TIN 100 punches well above its weight. In fact one way to look at its influence is what we'd know about the ICT, high tech manufacturing and biotech industries without its presence. In an era of ever less traditional media reporting of industry, the answer is very little indeed. 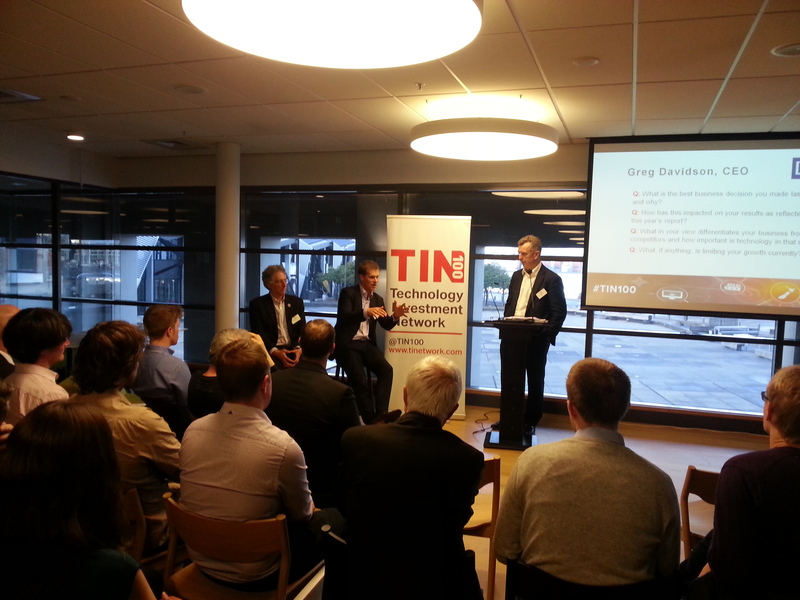 TIN managing director (and former Wellingtonian) Greg Shanahan highlighted some of the capital's success stories when launching the 2016 report at NZX on Wednesday night. On that score the Wellington region led revenue growth of 15.3% for the year. A press release highlighting some of the key points is available here. The really significant figure from NZ's point of view was that the combined sectors' revenues leapt by 12% and are now in touching distance of $10 billion ($9.4 bn). As is often the case with the laconic Shanahan, it was his commentary that provides illumination around the numbers. The TIN 100 provides a detailed breakdown of NZ's 200 largest technology exporters (and to continue the name/numbering/branding challenge), plus the Next100. The report itself is for sale here. It is also sponsored by NZTE and Callaghan Innovation (as well as EY and AJ Park). Quite possibly the investment made by these two government bodies is one of the best ones they make. We would all certainly be much less wise, much poorer informed, less able to say to our kids 'hey, check these companies out', without it. Original generation time 1.2195 seconds. Cache Loaded in: 0.0433 seconds.